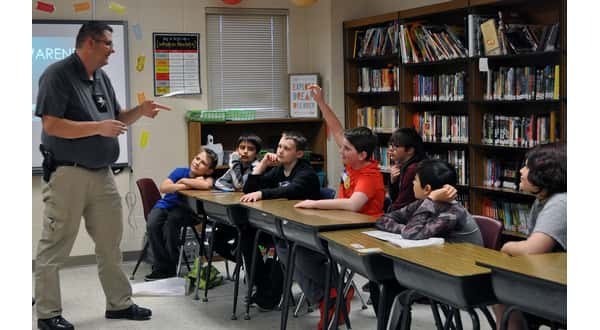 Photo: Izard County Chief Deputy Charlie Melton presents drug awareness to fifth and sixth graders at Izard County School District. Photo: Izard County Sheriff Earnie Blackley rides a golf cart with Mercedes Bogard as she navigates her way through a drinking and driving simulation. Photo: Michael Paskewitz with the Izard County Extension Office answers student questions while presenting about ATV safety. 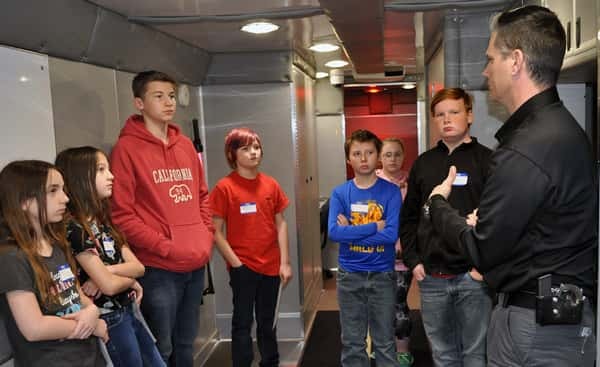 Photo: Ashley Boles with the Black River Technical College Law Enforcement Training Academy meets with students inside the BAT Mobile while explaining breath alcohol testing. 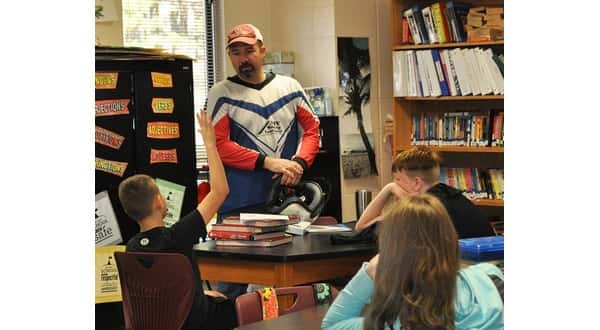 The Izard County School District hosted its 16th annual summit conference for fifth and sixth grade students encouraging them to choose a healthier lifestyle last month. The event was coordinated by the school's drug-free group, Cougars Helping All Students Excel (CHASE). Two officers from the Izard County Sheriff's Department were among those making presentations. 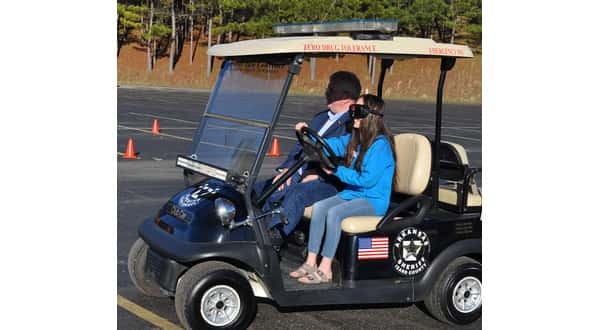 Chief Deputy Charlie Melton shared presentations with students about drug awareness, and Sheriff Earnie Blackley lead a drinking and driving simulation while students wore impairment goggles. Margaret Yancey with the Izard County Health Coalition taught students about the effects of tobacco usage, Cindy Schaefering with the Arkansas Department of Health presented information about anti bullying and Michael Paskewitz with the Izard County Extension Office lead a presentation on ATV safety. Ashley Boles with the Black River Technical College Law Enforcement Training Academy brought the BAT Mobile (breath alcohol testing) for students to walk through, and Alan Estes with the Oxford Fire Department had the smoke house and fire trucks on hand to teach students about fire safety and emergency exit strategies.